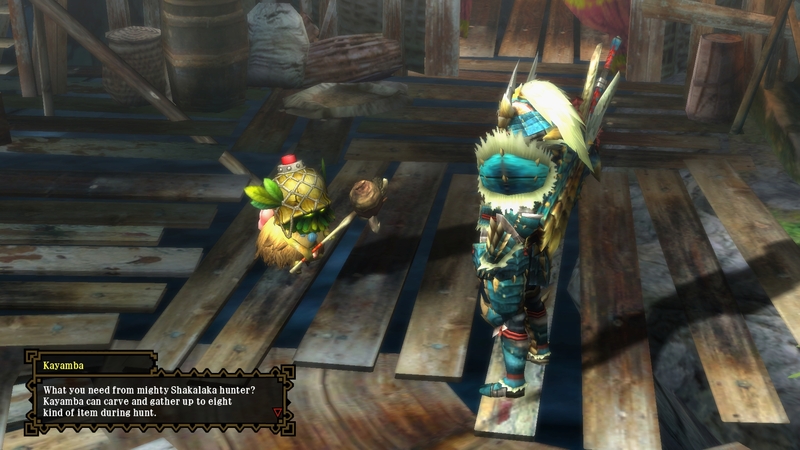 Monster Hunter 3 Ultimate is Monster Hunter Tri - except, well, it's not. 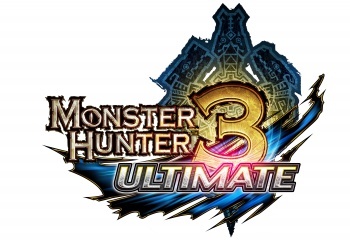 Capcom's formula of iterating on each Monster Hunter installment over the lifetime of a console generation is working in MH3U like it's never worked before. 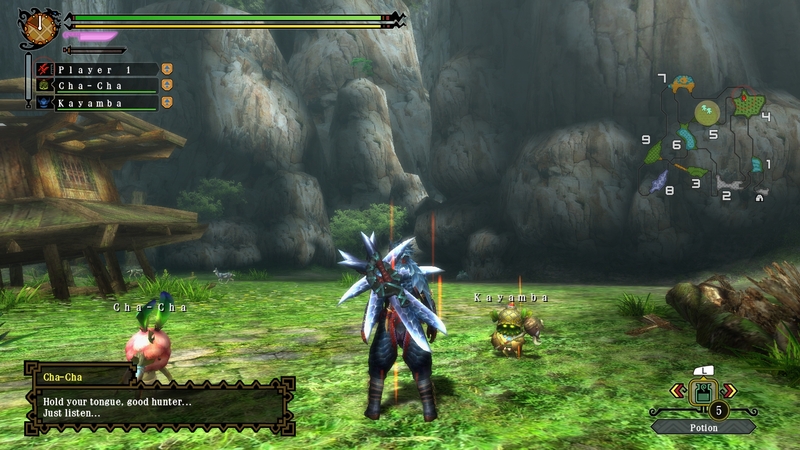 At its heart, though, MH3U is still Monster Hunter. That is to say, it's still a game about two things: boss fights and grinding. 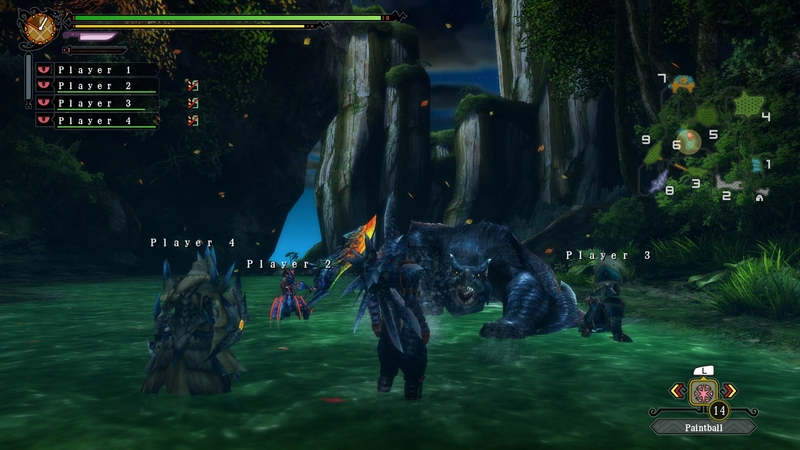 Every fight that matters in MH3U is a boss fight, and the first time you kill a Royal Ludroth is a triumph. 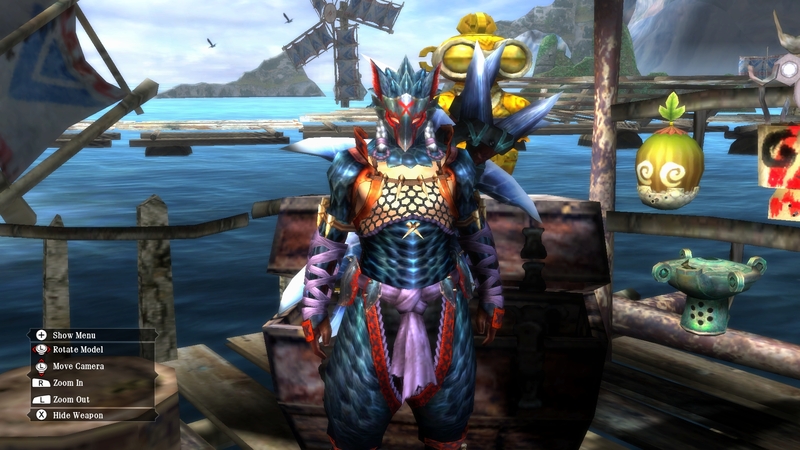 By the sixth time, required to craft a full suit of Royal Ludroth armor, it's not so much a triumph as a slog. The game's story is divided into village and port segments. In the single player game, you're a representative of the hunters guild sent to rebuild a village by collecting resources, killing monsters, and carving them up. Your primary motivation to move the story forward is investigating a mysterious earthquake and defending the village against a lightning-spitting sea serpent called Lagiacrus. The story and characters in the campaign don't stand out, but there's a playful and charming humor to the whole game. The village is home to the game's mechanics for reducing the grind, letting you have the villagers undertake the most boring mushroom hunting and honey gathering adventures you'd otherwise be going on. 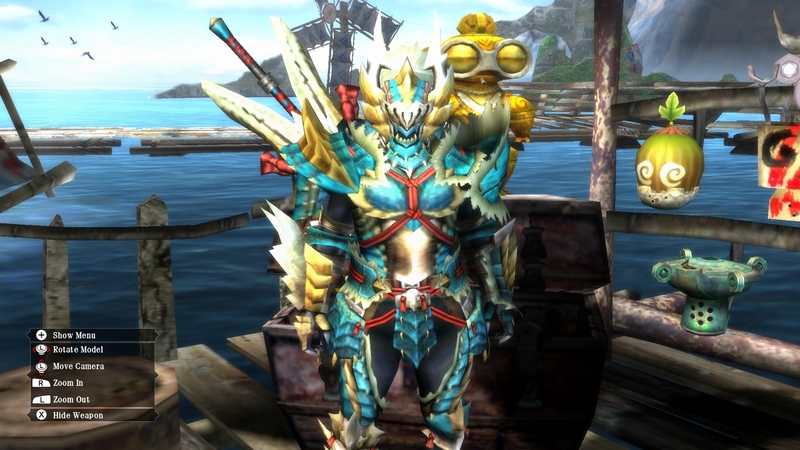 As you play, you'll realize that beneath the grind there's a deeper game, because MH3U isn't just a game about grinding - it's a game about learning. And since you can play for a hundred hours with just one of the weapon classes, you'll certainly pick up new skills as you go. The single player is a great place to get to know the game before venturing online, but it's frustrating when you realize that after moving to online play you're back to rank one quests - the progression is completely separate. The multiplayer city of Tri is replaced by a port, where everything is just a little more convenient than the sprawling city. From the port, you collect Hunter's Guild quests and share them with up to three friends - then go and co-operatively fight some monsters. 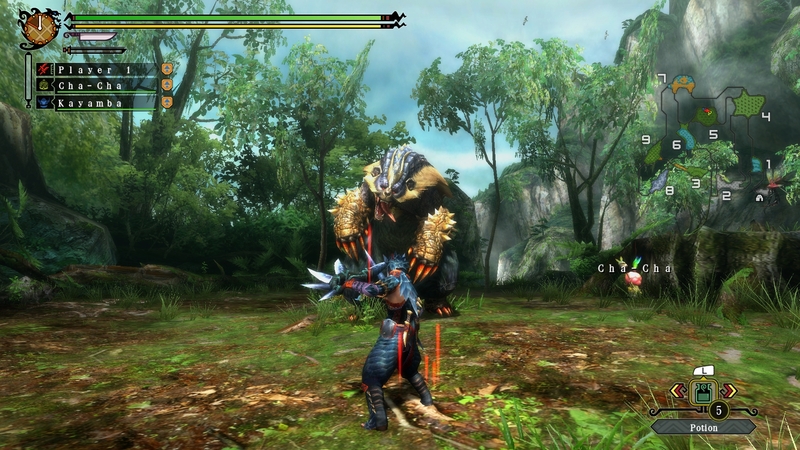 Your ultimate goal is to reach the highest hunter's rank possible and get access to the really big hunts. It's the star of the show, because this is really a co-op game. 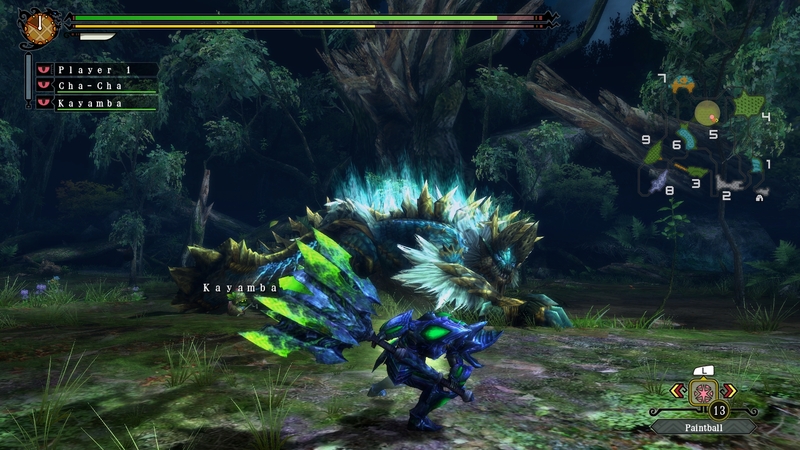 You'll come to enjoy the pre-hunt ritual of optimizing what foods to eat for buffs while sharing what you know about the monster slated for hunting. The availability of local multiplayer with a 3DS user is great, since they're essentially the same game, and it lets you play cross platform with your friends. Aside from some menu arrangements that might frustrate you, everything in the multiplayer just works. It's easy to set up and play in minutes. The game's free DLC missions are just icing on the cake, and from posted previews it looks like there will be a healthy slew of free play to come in the next few months. Oh, and, if you're not interested in playing with real people for whatever reason, you can take your single player NPC companions to a non-online version of the port and complete the quests all on your lonesome.